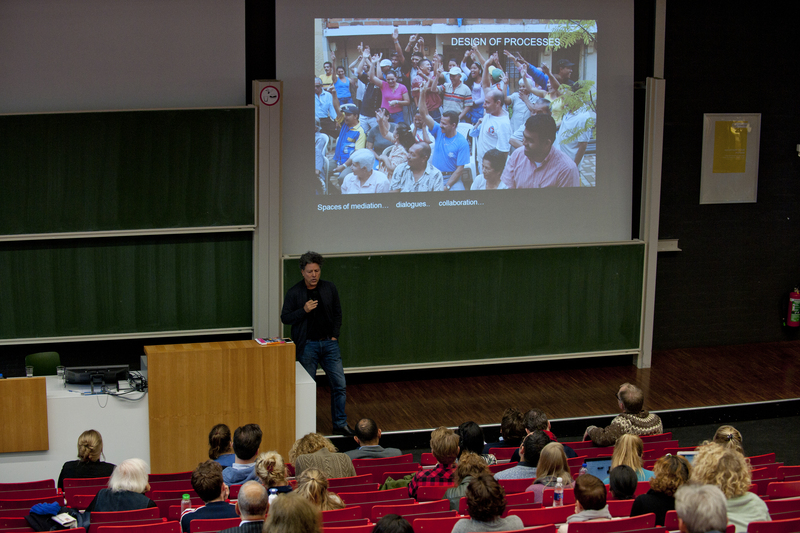 On December 1st, the VU hosted the recurring Re-Scape colloquium, organized by CLUE+ in collaboration with OZ Architects. 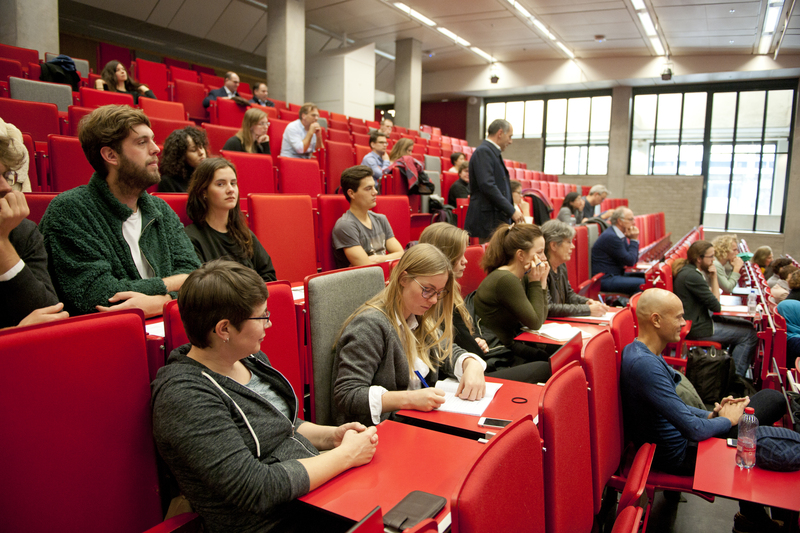 Various Re-scape events are held throughout the year and the location alters between the organizing universities; TU Delft, University of Leiden and VU. 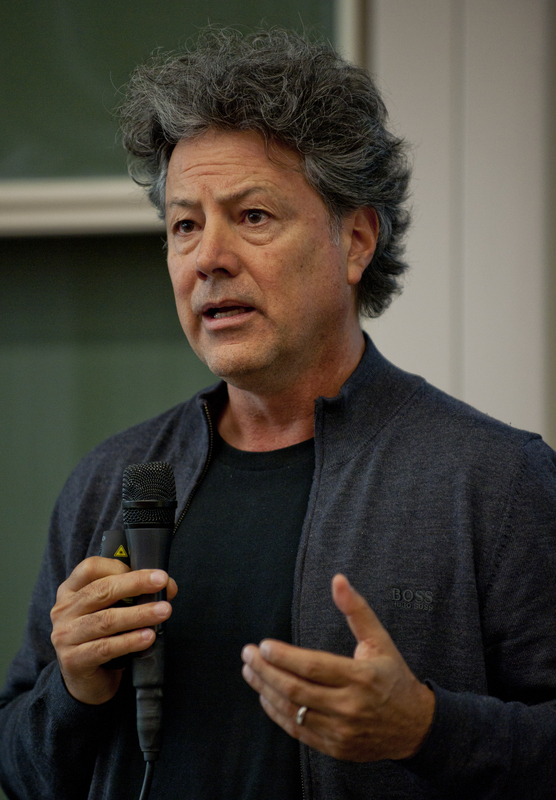 This time, the VU hosted the event and invited Colombian urban planner and architect Alejandro Echeverri and director of the Centre for Urban and Environmental Studies (Urbam) to talk about the role of architecture and urban planning in the transformation of Colombia’s second largest city of Medellín. It was fascinating to hear him explain how architects and planners aim to find various solutions for dealing with the difficult characteristics and features of the South American landscapes. The growth of Medellín as a city exceeds the urban fringes and moves into the rural and rough landscapes of the region. Urban planners and architects try to prevent growth in these dangerous areas, while at the same time respecting and anticipating the informal settlements created by civilians. It is thus the architect’s job to share his knowledge in order to increase the safety of the existing built structures, instead of creating entirely new residences. Some areas are too dangerous to enforce existing living quarters, and thus entire neighborhoods have to be relocated. In order to preserve the social relations established in the settlements, all people are relocated in a similar place. According to Echeverri, architects work for the people, and urban transformation should be about inclusiveness and history. He demonstrated how cities are progressive and dynamic, and that the city as an open space of integration and inclusion was one of the biggest challenges when it comes to Medellín. You cannot change a city in a couple of years, even when the administration is supportive of change, but you can try to change the psychology of the city, Echeverri stated. To hear an architect talk about the people, history and the value of public opinion as well as the examples mentioned above, indicates the important contribution architects and planners can make to the improvement of quality of life in the city. 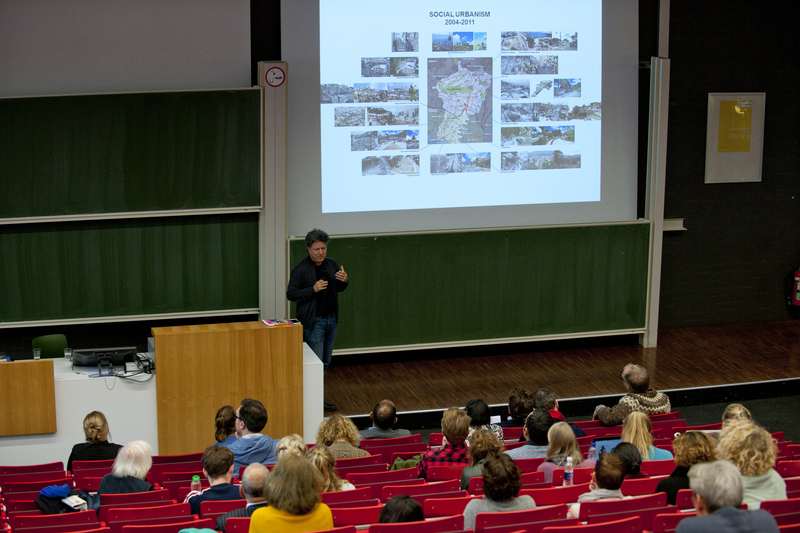 Echeverri’s lecture was followed by three presentations of young Dutch scholars on their research on spatial transformations in Dutch cities (Minke Walda, Kim Zweerink and Martine Zoeteman). Whereas Echeverri came with many examples from the practical field of architecture and planning, the three scholars talked about their research, which resulted in an interesting combination. This combination was reflected in the audience, in which students and researchers of various disciplines, including architectural history and heritage studies, as well as architects and urban planners were represented. The latter two in particular found the combination of practice and research novel and stimulating. An event like this is worth repeating, and will return to the VU in the future. Next Post A New Year’s Wish from the New Director of Education at Arts & Culture!